This isn't so much a review as a recommendation to read the series of blog posts about List Building for Bloggers (#LBB) written by Phil Hollows, the Founder and CEO of FeedBlitz . This is an alternative to Feedburner for pushing out RSS feeds to subscribers which I use. harness the power and capabilities of email and social media communications network - together with your blog - to build a list of followers. Why aren't Email Lists Dead in the Age of Social Media? Mailing List Underperforming? Optimize it with these Tips! I've been reading them as they've been published and, while I wouldn't necessarily follow all the advice, there's lots and lots of good content and reminders of things you know but forgotten. a request for information about reviews which you've done (or seen) and which might be suitable for inclusion in this leading resource about coloured pencil art. While I independently search for and include links to websites providing good quality information, I also welcome hearing from people who think they've got a link to a site which might be suitable for inclusion in this resource. See bold sentences below for the type of information I'm looking for. The major changes I've been making are listed below. Click the COLOURED LINK IN CAPITALS to get to visit that section of the site. If you've done a review of a individual brand of coloured pencils please let me know. My preference given the new layout is one brand per review. 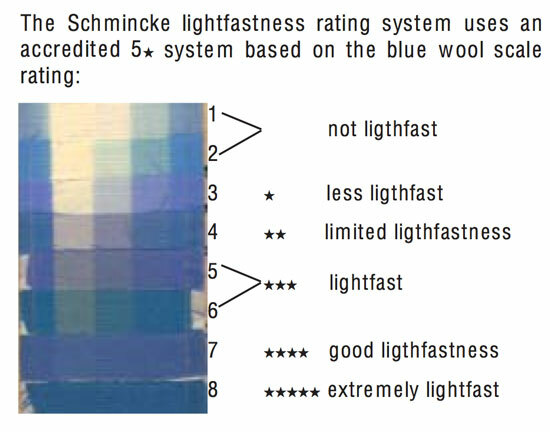 If you've done a lightfastness test of your coloured pencils and this is not listed please let me know. If you have a coloured pencil art society - or local group - which is not listed please let me know. I've reorganised all the tips and techniques into more sensible sections and in doing so have identified some gaps in information which I'm trying to fill. At the same time I'm always keen to be able to include links to high quality information about instruction. Please let me know if you've written a blog post or website article or created a pdf free to download file which relate to any of these aspects - and which you would like to be considered for inclusion. If you have a tutorial which might be suitable for one of these sections please let me know. I'd very much like to thank the very many people who have given this site a "thumbs up" on Squidoo and/or linked to it on Facebook - BEFORE the facelift! 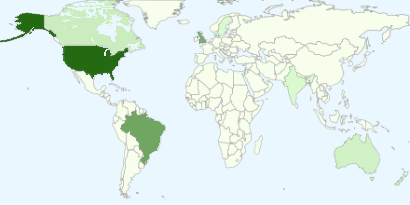 I'm very gratified to find so many people appreciate this site. I hope you also like the new and improved version. 551 people have now voted on the Making A Mark 2010 POLL: Which is the best brand of artist grade coloured pencil? 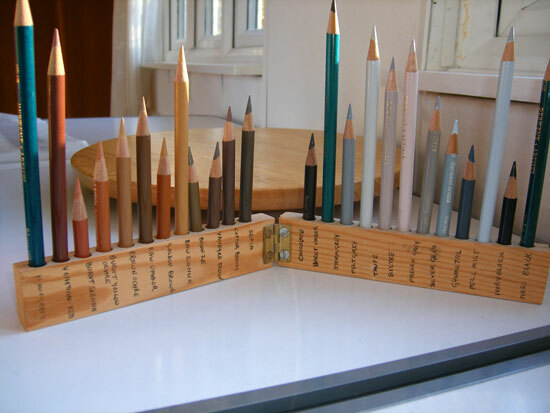 on Coloured Pencils - Resources for Artist. Current votes show a quite dramatic change in the overall numbers when compared to the percentages as at 31st December 2009 - see Two new coloured pencil opinion polls for 2010 which has a chart for the previous poll. When disaggregated into brands in 2010, it's very clear that Faber Castell Polychromos pencils are the leading brand of coloured pencils and have a clear and significant lead over Prismacolor Premier pencils. 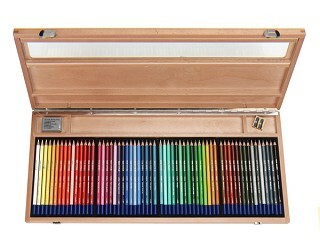 2010 POLL: Which is the best brand of artist grade coloured pencil? In 2009 I just offered Sanford Prismacolor as one option and this topped the poll at 29.4%. However what was taken to be a clear lead attributable to the popularity of Prismacolor Pencils now appears illusory given the percentage who like the Art Stix. Overall there is a slight drop ion aggregated market share. 0.7@ for Sanford Prismacolor Verithin. Caran d'Ache Pablo have dropped from 10.4% to 6.4% - a drop of 4%. Lyra Rembrandt has reduced from 7.2% to 4.9% in 2010. Last time the narrower range of options on offer probably meant people opted for whatever was the nearest option. Prismacolor seems to have stopped marketing its lightfast range (it's nowhere to be seen on its website) - which is odd given the relative success that Carann d'Ache have had in marketing the Luminance range which is not cheap! I have an impression - and that's all it is - that American artists now experiment more with brands which are not Prismacolor. The sterling exchange rate is having a significant impact on the cost of some pencils for UK artists. All suggestions are welcome as to any other possible explanations. I'll repeat this analysis after the end of the year and start a new poll for 2011. 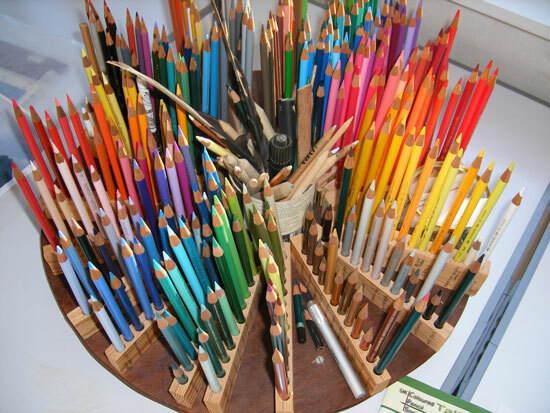 You can find out more about the different brands of artist grade coloured pencils on Coloured Pencils - Resources for Artist - where you will also find a poll for watercolour pencils! I've only recently discovered Marc Dalessio did a colour test of different paints in relation to vermilion. You can read about it here Color test: Vermilion and also see the colour charts which he created as a result. For me the best of the hand-ground paints was Robert Doak’s vermilion, which I believe is either cut with cadmium if not entirely cadmium-based. That said it is extremely similar to the old Zecchi cadmium vermilion they stopped selling 8 years ago (which we all remember fondly). You can find our more about Robert Doak specialised art materials and paints on his website - Robert Doak Colors. He also does concentrated liquid watercolors which, according to the website, are brilliant and lightfast colors. Sometimes a manufacturer comes up with a new idea for how artists can try out their products which just make you nod your head and say "Yes!" This is one of those - and it comes to you courtesy of DANIEL SMITH. 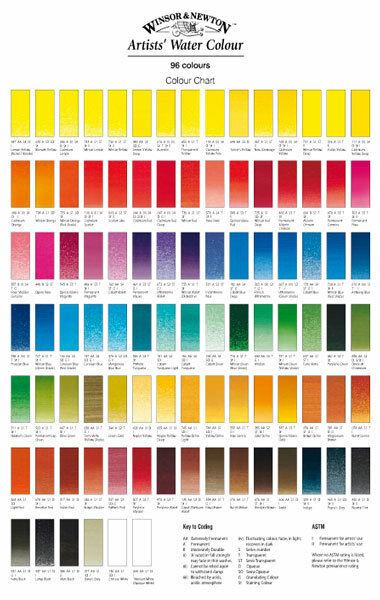 This Try-It Sheet contains 66 paint-able "dots" of pure DANIEL SMITH Watercolor. You can either use the sheet as a reference for when you are choosing which watercolour paints you want to use from the DANIEL SMITH watercolor palette. Or you can just wet the dot with a brush and try out the paint. Or both! I've no idea how long this Try-It Sheet has been around, but I think Daniel Smith has just ramped up the "information for watercolour artists" stakes - in a very good way. Thanks to Billie Crain on Facebook for drawing this to my attention. My first ever feedreader was Bloglines - and I loved it. However over time I gradually switched my feeds to Google Reader - and then found that I also picked up on people's blog posts increasingly via Blogger Dashboard, Facebook and Twitter. A little perspective: when we originally acquired Bloglines in 2005, RSS was in its infancy. The concept of “push” versus “search” around information consumption had become very real, and we were bullish about the opportunity Bloglines presented for our users. Flash forward to 2010. The Internet has undergone a major evolution. The real-time information RSS was so astute at delivering (primarily, blog feeds) is now gained through conversations, and consuming this information has become a social experience. As Steve Gillmor pointed out in TechCrunch last year , being locked in an RSS reader makes less and less sense to people as Twitter and Facebook dominate real-time information flow. Today RSS is the enabling technology – the infrastructure, the delivery system. RSS is a means to an end, not a consumer experience in and of itself. As a result, RSS aggregator usage has slowed significantly, and Bloglines isn’t the only service to feel the impact. The writing is on the wall. There is a a three-week period to export feeds to another service – more detail and instructions can be found on the Bloglines website. It's worth noting that the import/export tab for Google Reader is a tab within the Google Reader Settings tab rather than a line in the menu as it is with Bloglines. 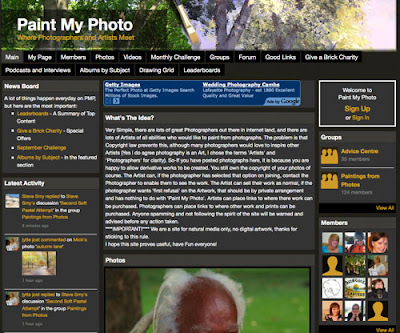 This is an initial overview of a new site called Paint My Photo - for those interested in painting from photos who also want to be able to access reference photos taken by other people to do this. A number of art forums have created photographic resources for their members - notably Wet Canvas's Reference Image Library (although this has been inaccessible for long periods on occasion). Not only that but it's set up deliberately to create a pool of photos for other people to use - and hence is called Paint My Photo (subtitle - Where photographers and artists meet). The intention is that reference photos supplied by photographers are copyright free and hence can be used by artists to produce art which they can sell without a fee to the photographer. The site seems to have been set up earlier this year and this is how it describes itself. Very Simple, there are lots of great Photographers out there in internet land, and there are lots of Artists of all abilities who would like to paint from photographs. The problem is that Copyright law prevents this, although many photographers would love to inspire other Artists (Yes I do agree photography is an Art, I chose the terms 'Artists' and 'Photographers' for clarity). So-If you have posted photographs here, it is because you are happy to allow derivative works to be created. You still own the copyright of your photos of course. The Artist can, if the photographer has selected that option on joining, contact the Photographer to enable them to see the work. The Artist can sell their work as normal, if the photographer wants 'first refusal' on the Artwork, that should be by private arrangement and has nothing to do with 'Paint My Photo'. Artists can place links to where there work can be purchased. Photographers can place links to where other work and prints can be purchased. Anyone spamming and not following the spirit of the site will be warned and advised before any action taken. We are a site for natural media only, no digital artwork, thanks for sticking to this rule. a monthly challenge - which tends to be a very popular feature on many of the forums targeting leisure artists. 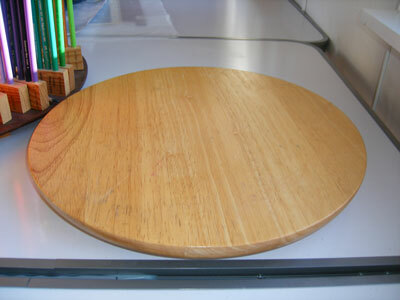 a forum - of the conventional sort with categories and threads. This isn't as well advanced as I'd expect given the number of members. Thereagain a lot of interaction takes place by way of comments on individual photos and paintings. a group for painting from photos. Now as a Ning Moderator myself I'd personally have preferred to have set this up as a category within the Forum. This would then allow people to start threads for their individual artwork - just like you get over at Wet Canvas. Using the group function means that it's going to be very difficult to see anything other than what got posted today and people's work will get "lost" (as in difficult to retrieve) over time unless you're looking at that person's individual page. a very fascinating tool called a drawing grid - which looks amazing but I can't work out how it works! The one thing which struck me is that the position on copyright would benefit from a much clearer and more prominent explanation - maybe along the line of a FAQs document about what people can and cannot do with the photos they use. From my perspective, I'd put an emphasis on people learning about good practice as well as what they can do when using other people's photos. It's also possible with Ning to get prospective members to look at something before people sign up and then ask when they agree to abide 'by the rules' when they join. However from what I can see there's actually only one rule and that's 'don't create digital art'! What's good is that you can have a good look at the site before joining - and if this is something which interests you that's what I suggest you do. I'm not a member and would be interested to know how the people who are members find it. Is it likely to be a site that you'll use a lot? What could it do better? Did you know that you can now get statistics in Blogger? If you view your blog in Blogger in draft (http://draft.blogger.com) then you can now see a new stats tab to the right of the design and monetise tabs. Flexible perspectives: Any of the different tabs can be viewed for different timeframes - now, day, week, month and all time. The latter is distorted due to the start date for the stats widget. Posts / Pages tab: lists the 10 most popular posts and tells you how many pageviews they have each received. Also indicates page views for individual static page. I particularly like the pageviews for top posts as this gives a different perspective from one which is focused around visitors and the profile is somewhat different. no need to leave your blog in order to view the stats. This is a very useful addition to Blogger. So much so that I've now made Blogger in draft my defaul view so I can keep an eye on my stats. I must say that now that I've found a set of the Talens Van Gogh pencils, I think I'm hooked. I could only get my hands on a set of 30 but so far they are wonderful. I need the rest of the colors and probably the watercolor pencils as well. I found a set sitting on a shelf getting dusty at a relatively local art supply shop. They had about a half dozen. They haven't been selling which may be partially due to no open stock to replace them. When I found a supply at my local store (a US national art supply chain and mail order), the manager said they didn't sell and they have reduced what they are carrying (they no longer carry Lyra). 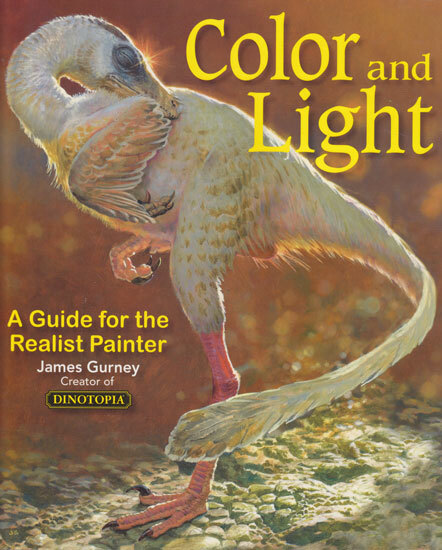 He thought it partially due to price, partially due to no marketing and partially due to so many of the books on CP only mentioning Prismacolor and sometimes Polychromos. That last comment made me really sit up and think. 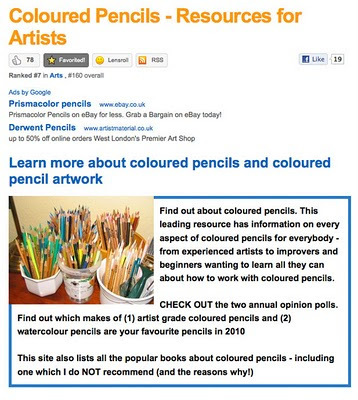 How many people buy pencils on the basis of what other people recommend? Quite a lot I should think. 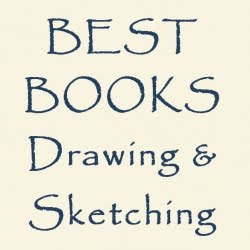 Well if Prismacolor and Polychromos are the only brands which ever get mentioned by artists who write books, is it any wonder they tend to take the lead in all my polls about Which is the best brand of artist grade coloured pencil?? I've tried every brand of coloured pencils and I think there are pros and cons to all of them. I really like my Van Goghs. They're not as robust as the Polychromos and the pigment strength of the Caran d'Ache Luminance are doing a very good job of wooing me at the moment (one pencil at a time due to how expensive they are due to the exchange rate!). However if it were a straight fight between my Van Goghs and Prismacolor Pencils, I know I'd choose the Van Goghs every time. I decided to resurrect my 2007 review of Talens Van Gogh Pencils and give it another airing on this blog! So here it is - rejigged into the product review format I use on this blog. Summary: Excellent coloured pencils which are difficult to find but well worth the effort. If you ever get a chance to try Van Gogh Coloured Pencils, you'll be very pleasantly surprised. I'm very happy to recommend them. Who should buy these pencils? all CP artists who are convinced that Prismacolors are the only brand worth having! Who should not buy these pencils? Talens participated in the very first ASTM test of lightfastness in coloured pencils and the Van Gogh pencils are guaranteed to be lightfast. Kaolin/wax base for artists coloured pencils (blue top) gives very smooth and workable application - creamy soft. Watercolour pencils have kaolin base and are only slightly drier in application. 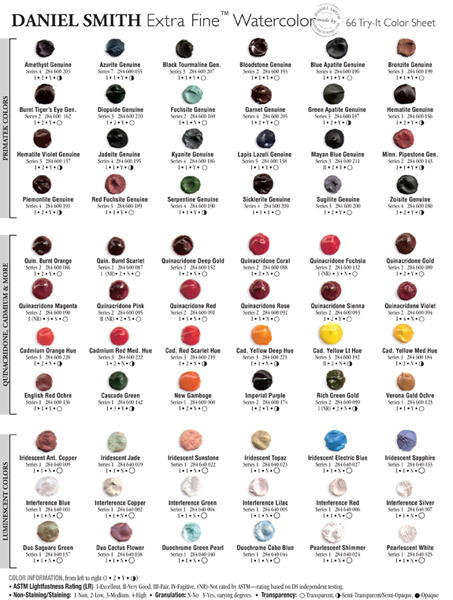 Range of colours is not as extensive as other makes - but the range available is a very good choice. I find I always want to use their colours a lot. You can find suppliers which sell Talens goods on the Talens website. 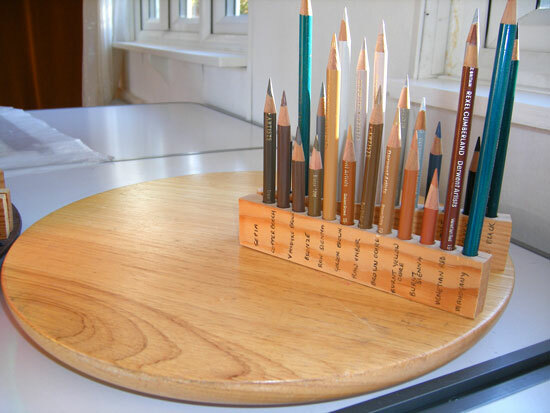 It's quite difficult to get hold of these pencils in the UK and virtually impossible to find them in the USA. Which is surprising given how good they are and that they are guaranteed lightfast. The website also has a tips section for using coloured pencils and even has an outline and then an approach for using their coloured pencils to draw Van Gogh's famous painting of his room in Arles! You can download it from here. Note: For general information about lightfastness in coloured pencils and specific information about all reputable brands of lightfast pencils see various links on Coloured Pencils: Resources for Artists. Summary review: This book is good introduction to great artists for a reasonable price. There is no definitive list of 100 great artists but this one is a good effort. It's also a good place to start for those wanting to learn more about the leading artists over time. 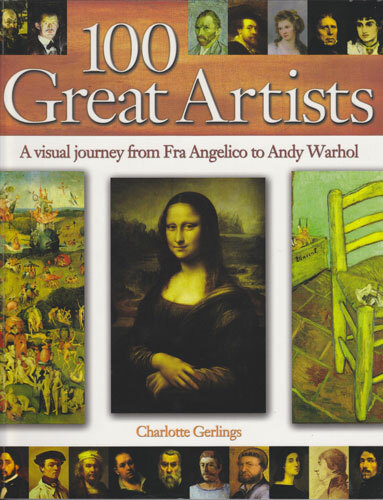 Their importance is distilled down to a potted version - but it's a good book for getting a sense of who the artist was, when and where they created art, what their paintings look like and for some - why they were important. covers different periods in art history over eight centuries from Giotto in the 13th century to Hockney in the 21st. UK - Arcturus Publishing (31 July 2009) Originally published 2006. Which is your favourite make of hard pastel? When we think of pastels we often tend to think of soft pastels. 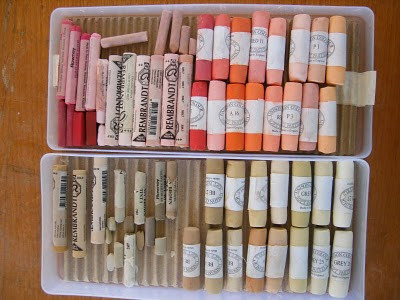 However hard and semi-hard pastels have a place in the art supplies of any decent pastel artist. The main characteristic of hard pastels is that they tend to have less pigment and more binder. As a result colours tend to be less vivid and works completed only in hard pastels can seem subdued when compared to the intensity of some of the hues of 'proper' soft pastels with high pigment concentrations. The higher proportion of binder can also make some brands seem very dry and scratchy and it's always worth trying different brands to find the one you get on with best. 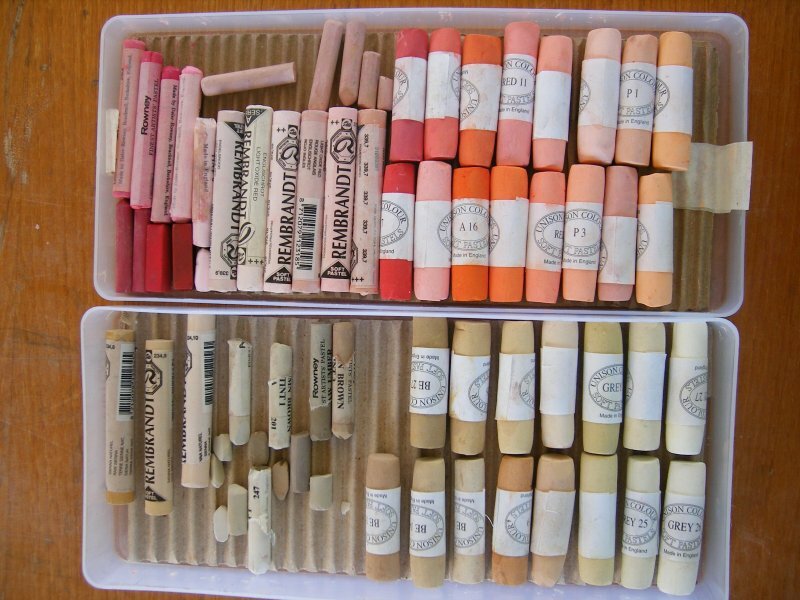 The chalks used for classic drawing tend to be closest to hard pastels and a number of manufacturers provide a set of hard pastels in the classic drawing colours of sanguine, sepia, black and white. These sticks are typically rectagular with hard edges. In French, the sticks are described as carré ('square' in French). 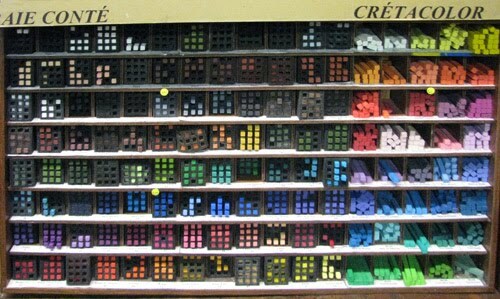 LEFRANC &; BOURGEOIS distribute the CONTE à PARIS fine art range of pencils, crayons and pastels. Conté crayons are most commonly found in black, white, and sanguine tones, as well as bistre, shades of grey, and other colors and are particularly suitable for fine hatching. They also produce 70 colours. The website states: POLYCHROMOS pastel open up an almost inexhaustible variety of colour. They contain a high proportion of light-fast quality pigments. These pastels have impressively bright colours and a fascinatingly silky "feel".....The characteristic square-cross section allows you to draw fine details with an edge, or shade extended areas with one face. The crayons have a uniform consistency, are economical in use, and adhere excellently to paper, card, wood, and stone. They need only a minimum amount of fixing for permanence. From the website: The square (carré in French) CRETACOLOR hard pastels have been recognized by artists all over the world for their brilliant colors and high pigmentation. Their square shape lends itself well to painting both large surfaces and small details. The Pastell carré hard pastel full range is 72 colors, including the Brown and Gray Chalks. Van Gogh carré pastels fall into the category of dry pastels. 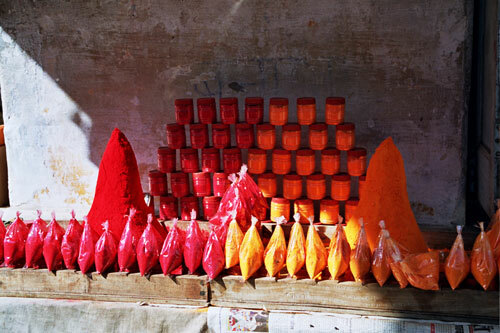 They come in a square shape and are made of pigment, various types of clay. Only available in assortment sets. From the website: For authentic pastel drawings with quick, easy colour lay down, these chunky pastel blocks are perfect. 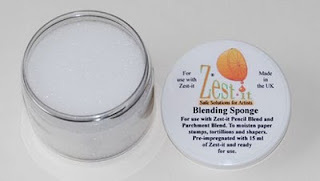 Their square shape and smooth, semi-hard texture means you can use the ends, sides or edges to produce both broad and fine lines. Although not as dusty as soft pastels, the effect is equally beautiful and perhaps a little more manageable. Derwent Pastels are available in a range of 36 vibrant colours, plus the unique Derwent Blender which allows easy blending without affecting the colour density. 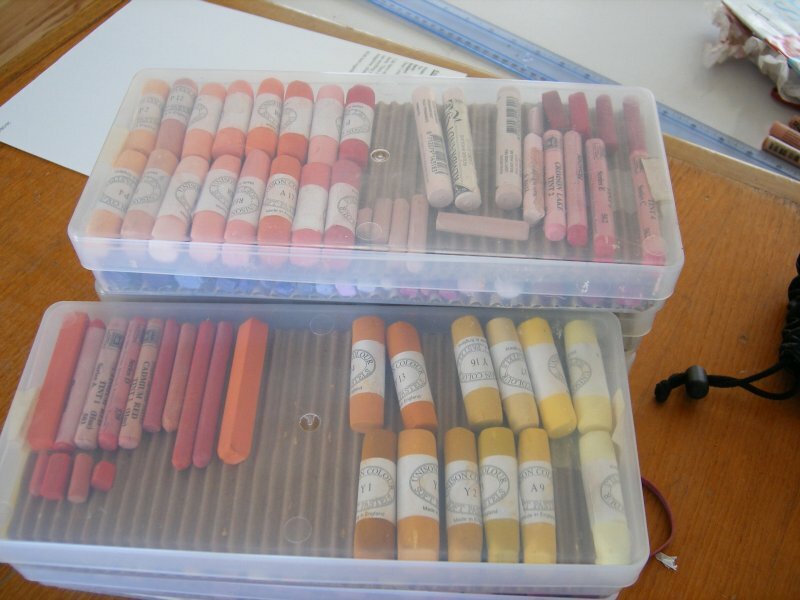 From the website: Professional, semi-hard pastels, perfect for underpainting. 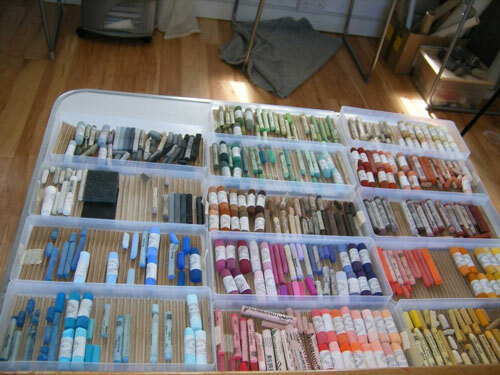 One of the factors to think about when buying hard pastels is how easy it is to replace singletons from open stock. Some brands are only sold in sets. Which hard pastel do people like the best? I've had a opinion poll running for some time on my information site Pastels - Resources for Artists. 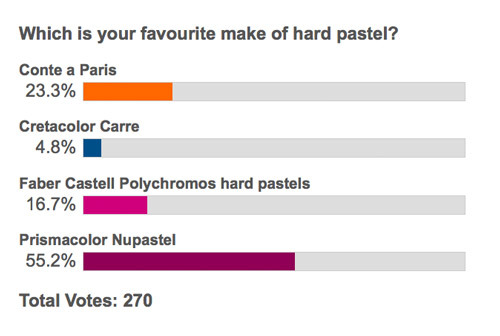 It asks the question Which is your favourite make of hard pastel? To date 270 people have responded to the poll and indicated their preference as to harder pastels and the percentage of their votes are shown in the chart below. The current poll has a limited range of options and I'm thinking of setting up a new one including the complete range of hard pastels. By far the most popular 'hard pastel' is Prismacolor Nupastel, although interestingly this is one of the softer hard pastels! You can't find these in Europe so I'm assuming this is an overwhelming vote from American readers. Similarly I guess many Americans may find it difficult to check out European makes of pastels. Which is your favourite brand of hard pastel - and why? I'd be very interested to hear your views about the different pastel brands - please do leave a comment.